﻿ Tower Club at Lebua Hotel, Bangkok | FROM $137 - SAVE ON AGODA! "Breakfast buffet and high tea were my favorite parts!" Have a question for Tower Club at Lebua Hotel? 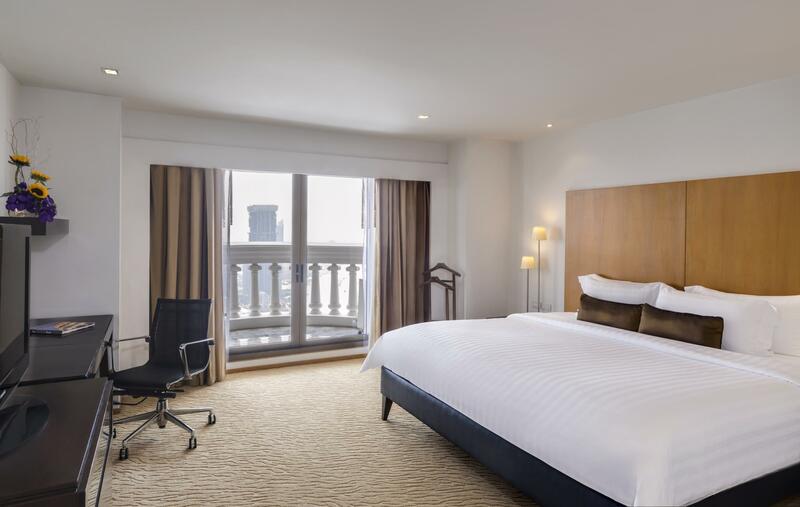 "Staff services - Great, thumb up Comfy beds, nice view, free mini bar if you book incl." "Love pool Great staff Good location"
"Toilets in the room blocked every single day, but Staff is great!!!" "I booked 2rooms-suite w/4 balconies all w/river view, the ro..."
Named the ‘World’s Leading Luxury All-Suite Hotel’ and ‘Asia's Leading Lifestyle Hotel’ by the World Travel Awards (2013), Tower Club at Lebua Hotel is not to be missed. Situated atop one of Bangkok’s tallest buildings, this property offers a heightened 5-star hotel experience with even more extraordinary views from the 221 expansive suites with their separate bedroom, living room and kitchenette, and personalized, intuitive services like customized check-in and check-out and exclusive access to the intimate and sophisticated Tower Club Lounge. The hotel’s prime location near the expressway, BTS skytrain and the Chao Phraya River makes the entire city accessible, with many attractions just minutes away. A few floors below the Tower Club suites, the poolside Café Mozu serves one of Bangkok’s best breakfasts, and the fitness center, spa, and fully serviced conference and function rooms are steps away. High above on the 67th floor, the regal State Room with its 360-degree panoramas awaits the city’s next storied event. Perhaps one of the most irresistible attractions in Bangkok is The Dome at lebua, which crowns the hotel and houses the city’s highest collection of restaurants and bars. These include Sky Bar, named “the most stunning rooftop bar you'll ever see” by The New York Times (2013), fine Mediterranean fare at Sirocco - the world’s highest alfresco restaurant and authentic Asian cuisine, progressively presented at Breeze, designated by USA Today as one of the world's “top 10 most cutting-edge restaurants” (2014). For an exceptional stay and innovative food and beverage venues not found elsewhere in Bangkok, you'll have it all at Tower Club at Lebua Hotel. 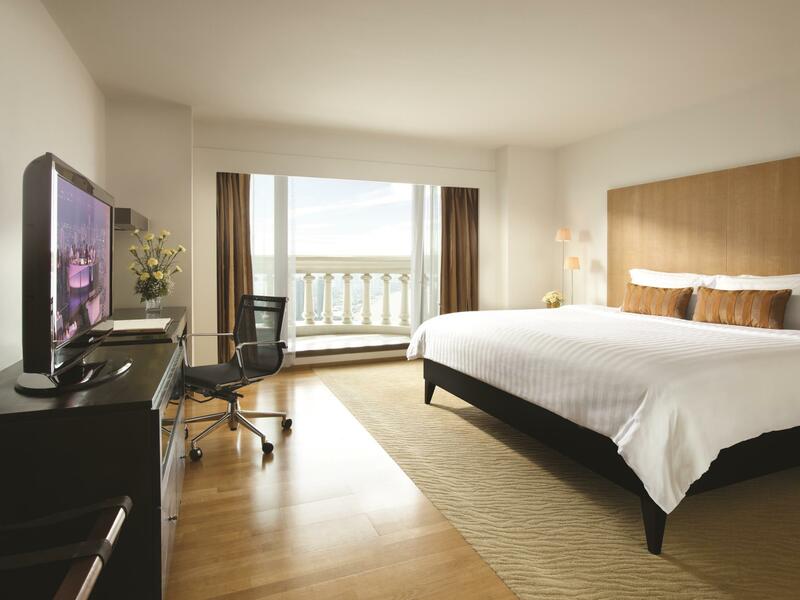 "Room was fabulous and huge with great view and a few free bi..."
Please be informed that all the Suite's balcony will be unlocked upon personal request only provided all guests are at least 14 years old. A balcony usage form must be signed upon check-in. 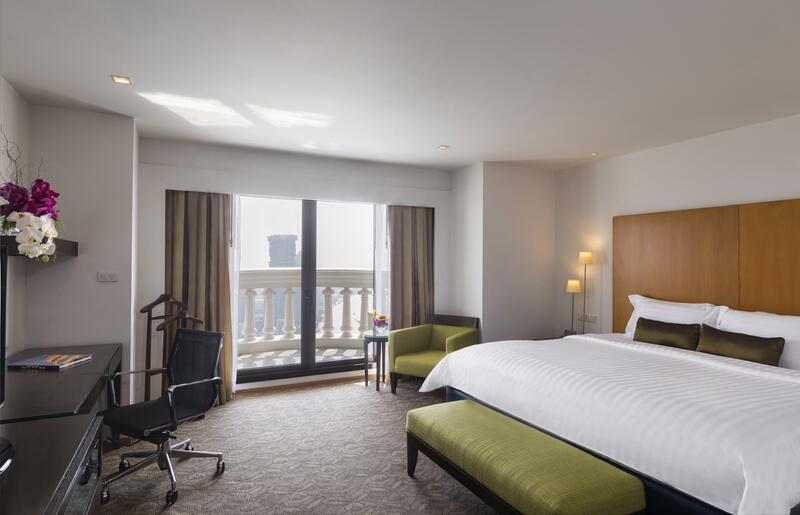 The room was big, staff was professionally and efficiently friendly, the bed was superb, as were the riverside views from our 58th level room and the 64th level bar. A/C is very loud. The Skybar is probably a wonderful place to be, however, we weren’t asked if we wanted to go THERE but brought to Distil, a small and much less impressive corner bar one flight up. It fames itself with mixing Bangkok‘s most innovative cocktails. Indeed it were the best we had in Thailand, and still it was not even good Berlin standard. However, they cost almost three times as much. To be honest: more than 70€ for two drinks is ridiculous and can’t be justified by any view. On the plus side is the wonderful breakfast. our dream hotel changed, a pity we liked it before very much. the food by the breakfast is not the quality like before, less choices. stuff by check in not so nice anymore. be member of the Tower Club is not in balance with the price, the food so la la . we were last years many times in Lebua for 2 nights always , sorry to say that, but it was the last time, we will look for another high class hotel in Bangkok when we need some days off. Breakfast buffet is a must on M floor (Mozu floor is big café restaurant, but dun go lounge floor for breakfast, so limited choices as checked), Lounge is still a must go, how excellent view in the lounge (52/F), is a must if you are in CLUB ROOM, the view is really great for pic, & afternoon tea also . I booked 2rooms-suite w/4 balconies all w/river view, the room & the view was amazing already in my room. All staff here is extremely friendly which you can feel definitely, customer services is so impressive. Surprisingly the housekeeping forgot give me some new shampoo & shower gel of BOTH my two bathrooms on my second night, that's embarrassing to see the empty shampoo & shower bottles while you need it, & a bit shock with laugh to make the urgent call to housekeeping at mid-night, I have to say, the staff took it to me immediate after my call. I believe the staff is still so efficient & professionally fast to run to my room. Except that, so far, everything is great as expected. it was our last evening for our honeymoon and i am so happy we spent a little more than our typical budget to splurge on a 1 night stay here. breakfast buffet and high tea were my favorite parts! and the view from our balcony was incredible. Good location but not friendly for traveling with kids. Rooms are clean but hotel need a renovation to keep 5* standards. Toilets in the room blocked every single day, but Staff is great!!! Nice food, swimming pool and good connection to everything what you need to see in Bangkok. We had a suite on the 57th floor with fantastic views. The staff was well trained, the location perfect. The hotel's breakfast was excellent. For dinner, we took a right out the door and ended up on the back road behind the hotel. If you make a right on this little road and cross the street, there's a wonderful little restaurant that serves great food. It's located a few doors before you arrive at the main street . The food is wonderful and reasonably priced. It's owned by a woman who lived in NYC for five years and she speaks English beautifully! Qw were glad to find this little gem nearby. 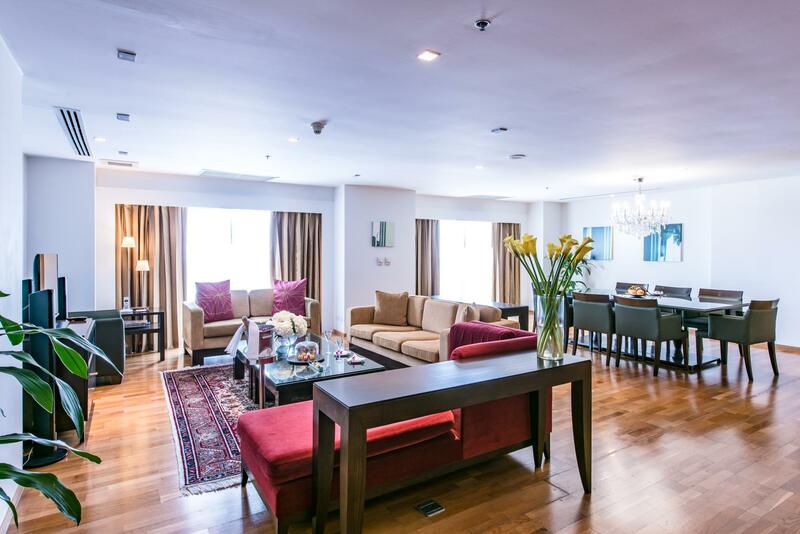 Pros - amazing 3 bedroom suite so big and luxurious! Buffet breakfast was one of the best I have ever had. Tower club access exceeded expectations with food and drinks included and they were delicious! Staff amazing, friendly and always helpful Cons - the beds are pretty hard! Very good service, great breakfast, nice view in tower club. We have stayed at this hotel many times over the last 10 years and still consider it the best possible starting base for a visit to Bangkok (close to the river and to the MRT). The rooms are spacious with a nice balcony offering a view on the Chaophraya river, the staff is attentive and the breakfast is simply amazing. Tower Club rooms offer free access to the lounge where you can enjoy a wide variety of free food and drinks. Although the area around Silom Road has remained virtually unchanged over the years, there has been a much better offer of restaurants in the immediate vicinity of the hotel. 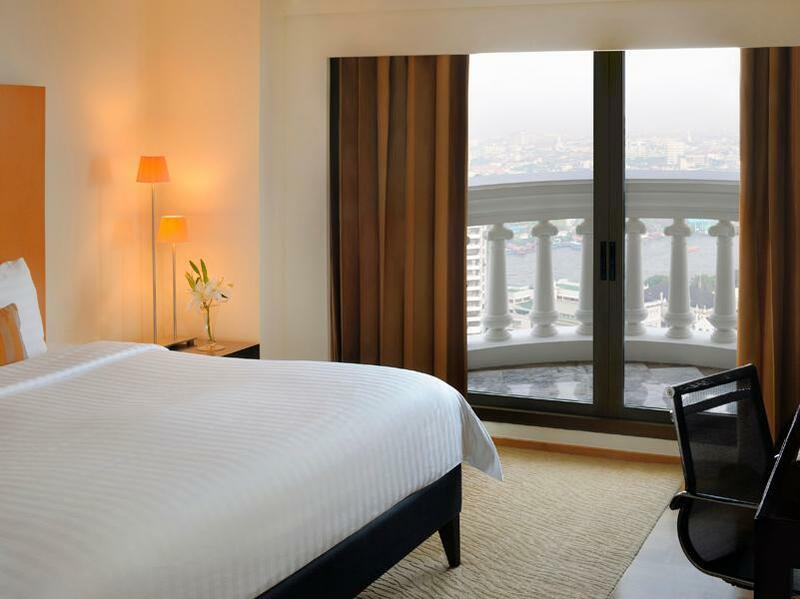 During our stay we had the pleasure of staying on a high floor with beautiful city view over the Chao Praya River. Staff was extremely friendly and helpful. The rooftop bar is nice, but drinks are very expensive, even compared to other 5-star hotels (e.g. Banyan Tree). I stay at this hotel every time i travel to Bangkok for business or personal medical appointments. Howver, on this trip i was extremely disappointed with the reception staff and their seemingly disinterested attitude towards my situation. I prepaid for 5 nights and after 3 days i needed to go to pattaya for 2 days and i wanted to move my 2 remaining paid nights to the end of the week and the staff and management would not budge or assist me in any way. Having said that, im not sure if i will return and stay at Lebua in the future. Sky bar must be visited!U will remember it for years! Only probkem was the slow wifi. Lovely hotel. The fact that the hotel uses 5 star services to lure patrons into overpriced purchases at its Skybar and Dome restaurants is a mere tourist scam. It is clear that five star service has its price, but at the lebua, such relations is not provided by international standards. There are other 5 star hotel which deliver proper services without wine and champagne tourist scams. View is very pretty, the free lounge is Awesome, but some staff isnt so friendly and they will have preference to serve you with your outlook, so not well trained!! Swimming pool is ugly, besides these everything was great!